Paint brushes feature brightly colored 7-1/2" handles that are round and stubby. Ideal for small hands between the ages of 3 to 9 years old. Handles are color-coded to match Color-Coded Spill Proof Paint Cups (sold separately) to help teach color recognition. Colors include red, yellow, blue, green, orange, brown, white, turquoise, black, and purple. 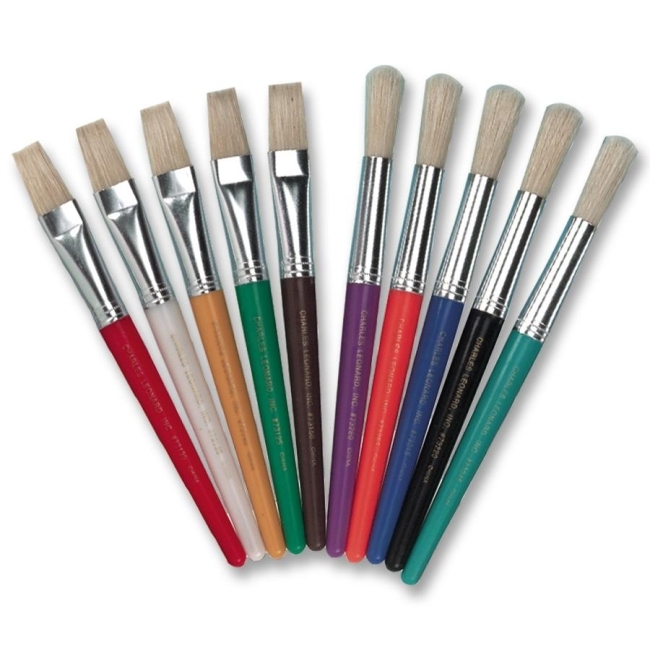 Paint brushes also have natural hog bristles held by seamless aluminum ferrules.